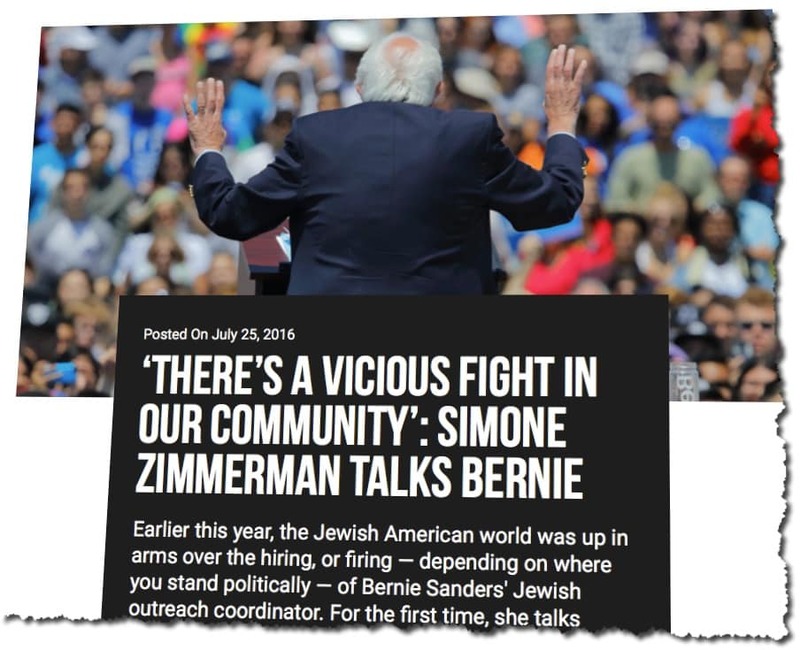 Simone Zimmerman has become an inspiring figure for American Jewish progressives in recent months — and a boogey-woman for the Right. When the Bernie Sanders campaign fired her over a Facebook post — in which she used some “colorful language” to describe the Israeli prime minister — she became one of this campaign season’s proxy battles in the ongoing Jewish argument over the Israeli-Palestinian conflict. But like many in her generation, it was Israel’s recent wars in Gaza that drove Simone to step further away from the mainstream American Jewry’s often-blind support for Israel and begin actively oppose the occupation and Israeli policies toward the Palestinians. There’s a giant elephant hiding in that sentence. Read it again and see if you know what it is before I continue. Here’s the elephant: it wasn’t Israel’s recent wars in Gaza that drove her “to step further away from the mainstream American Jewry’s often-blind support for Israel”. It was her remote perception of the wars filtered through the lens of lethal journalism. She had been in Israel during Cast Lead, she’d even gone camping in the “West Bank” not understanding geography, but she’d not yet been exposed to non-stop lethal journalism. It seems her path to that dark side started after the war when she arrived in Berkely: “I started reading Ha’aretz”; attended “a major BDS debate”; and was “hearing Palestinians tell their stories”. The start of the second part of her recorded interview is highly instructive. Peter Beinart’s writing features at a big turning point allowing Simone to feel she wasn’t alone: giving her a movement to become a part of. That preceded a trip to Israel with Hillel. The Goldstone Report also played a part: no mention of it’s author’s humiliating withdrawal, by the time that came it was too late for Simone. Remember, it was the repudiation of the Goldstone Report by Judge Goldstone himself that had such a huge effect on Roseanne Barr turning her completely in the opposite direction Simone took. Israellycool readers know just how many of these stories she heard are at least massively exaggerated and in many cases completely made up. That’s just something we’ve shown time and time again. A recent Israeli Channel 10 (not “right wing”) investigation of Breaking the Silence is typical and enough to see this. Our side is quick to admit there is hardship for Arabs, their side is certain never to mention ongoing Arab murderous attacks on us. For better or worse, we’re wedded to the truth and facts: they’re using stories and emotion without a need to bring truth. It’s our Jewish story, the one Ryan Bellerose points out to us. The story that keeps Jews here and Jews coming here. It’s the story Jews and Christians feel when we step off the plane at Ben Gurion or step back in time in the tunnels under Jerusalem. It is both baked into our DNA and bigger than our DNA. It is part of our consciousness and souls. 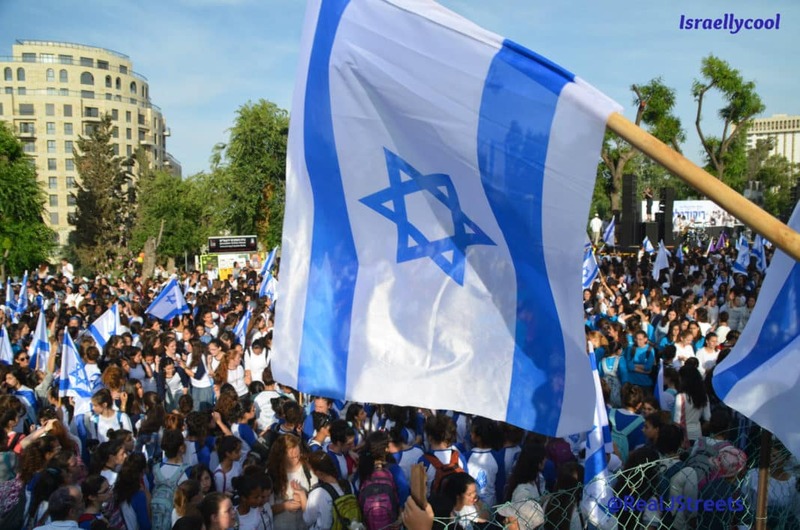 Israel is Jewish and Jews are Israel.